The Encephalitis Society supports those effected by inflammation of the brain. One key area of work is supporting families and young people through education. 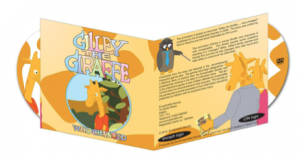 One member wrote a fantastic story to help explain encephalitis and we worked with her, the Society and an illustrator to put together a children’s book – Gilley the Girraffe.